A high intensity, high impact, total body workout combining cardiovascular endurance and muscular strength. Offered twice a week in two different workout formats to achieve maximum fat burning results. Learn real boxing techniques while getting a crazy workout at the same time! 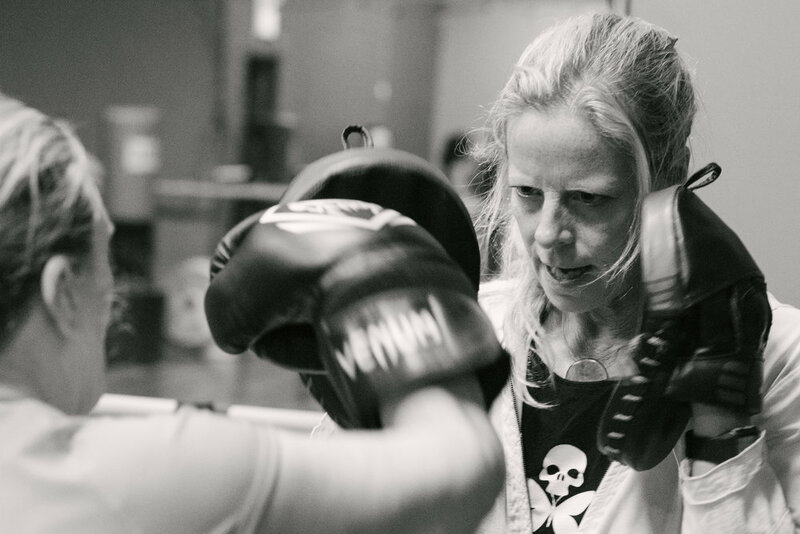 Teachings integrate bags, mitts and other equipment for boxing and conditioning. A great stress release! Wraps and gloves available on site. All ages and abilities are welcome. Create stability from the core, the middle of your body, the basis of all movement. This class sculpts the abs by blasting the midsection from all angles! All levels. Endurance, Barre, and mat intervals come together in this new and efficient format designed for results. HIIT the Bags, by Box ‘N Burn, is one of the most popular and desired fitness classes consisting of real boxing techniques combined with functional fitness exercises. Taught by certified Box 'N Burn trainer, Talia Kenney, you can burn 800+ calories each class! Whether it’s your first time boxing, or you have many years of boxing experience, this class is guaranteed to give you an amazing workout. Take your riding experience inside for a motivating, calorie burning, fun, group ride to fantastic playlists! Intensity is up to you, take it up to the max or enjoy a steady ride. Classes run 30, 45 or 55 minutes. Instructors: Carrie Hill, Rebecca MacDougall, Julia McPhee, Kimberly Motter-McCaffrey, and Melanie Riley. Intense cardio workout, functional training, occasionally with light weights, combining kickboxing moves and high intensity cardio moves. Plan to sweat! Instructors: Pamela Hollash and Leila Hanna. Pound is a full-body cardio workout, combining light resistance with constant simulated drumming. The workout fuses cardio, Pilates, isometric movements and poses, and plyometrics into a 45-minute jam session. Burn tons of calories, strengthen and sculpt infrequently used muscles, and drum your way to a leaner, slimmer physique. Instructors: Amy Ward and Melanie Riley. A dynamic interval mix of strength and cardio for both immediate and long-term benefits. Full body workout. Beginner/Intermediate. Have fun on the step by challenging your mind and your body. 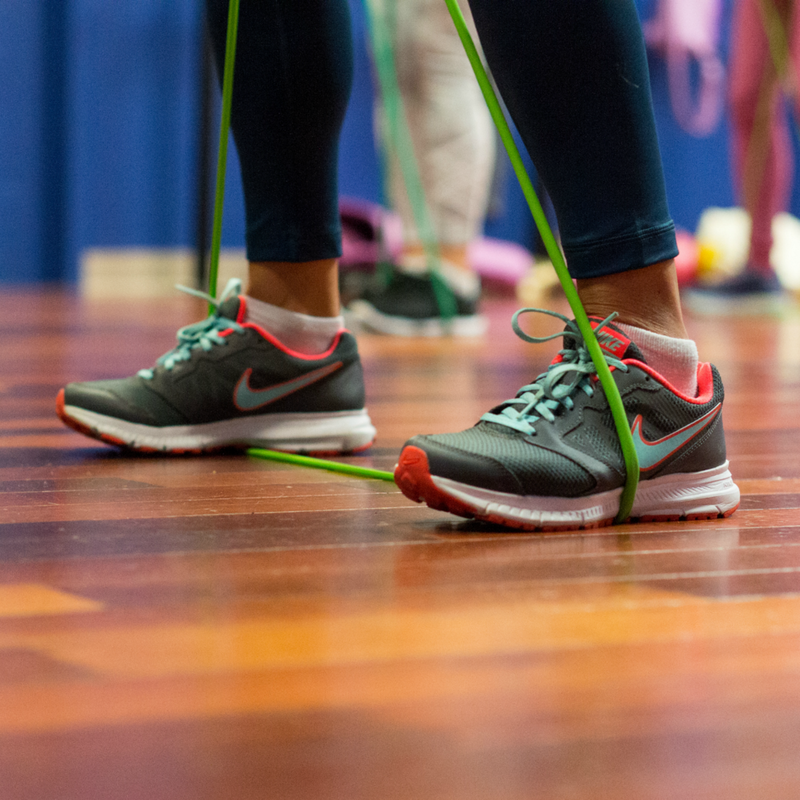 Learn fun routines, improve your cardiovascular fitness, and tone lower body - all in the same class. All levels welcome. Instructors: June Dunne, Leila Hanna, and Debbie Zimmerman. Burn calories and blast fat! TurboKick® mixes kickboxing and simple dance moves with music that makes you want to move!